Unfortunately the Easter weekend is coming to an end, I hope everyone had a good holiday. We spent the weekend away at Craigleith Provincial Park in our travel trailer. It was a very rainy and windy weekend, but we still had fun. It was great just to get away from it all. Our boys didn’t come with us yet again which is becoming the norm. The camp site looked rather different from previous years since they had a violent tornado rip through the park which up rooted a lot of nice old pine trees making it very open and sparse in some areas. Despite the bad weather the park was extremely busy with a good mixture of tent and trailer campers. It seems I live of Curries and rice but for a change I made Cauliflower rice instead. 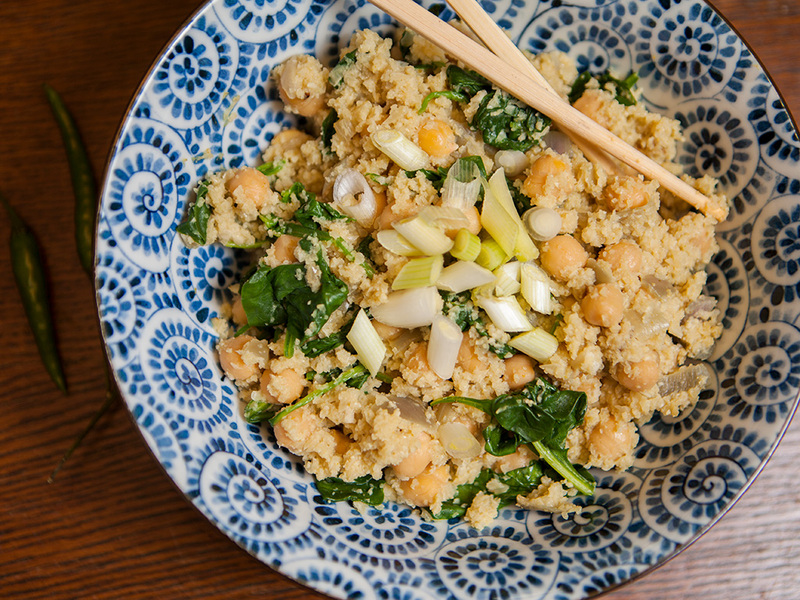 This recipe is very quick and easy with not a lot of ingredients, simply with Cauliflower, Chickpeas and Spinach. These are things I have handy at home most of the time. 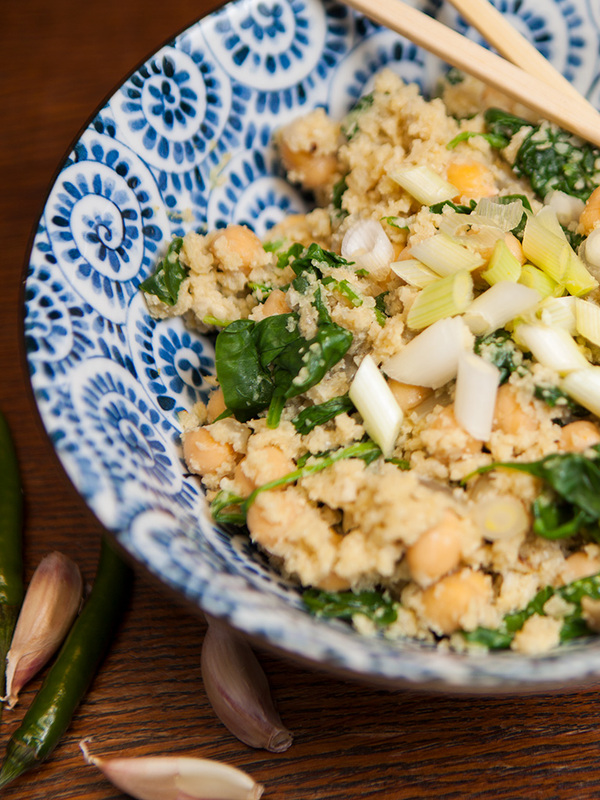 Place chopped cauliflower in a food processor and process until cauliflower resembles rice pieces. Set aside for later. Heat olive oil in a large wok. Sauté the onion garlic and chili peppers until soft. Stir in the green curry paste. Add cooked chickpeas and coat in onion and curry paste mixture. Stir fry for 5 minutes. Add cauliflower rice. Stir fry for 5 minutes. Add the cup of coconut milk and mix together. Cook on low-medium heat stirring occasionally for 10 minutes. Add spinach cook until wilted. Serve in bowls topped with green onions.